Blonde Sheep Licensing has teamed up with stationery firm, IG Design Group, and confectionery specialists, Swizzels Matlow Limited, for a line of new items. 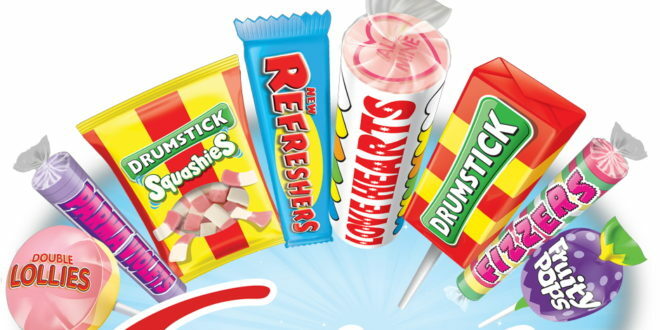 Following the agreement, IG Design Group will design and distribute a stationery range featuring brands from Swizzels, including Love Hearts, Drumsticks, Refreshers, Parma Violets, Rainbow Drops and Fizzers. “IG Design Group is the perfect stationery partner for Swizzels,” said Natasha Dyson, MD at Blonde Sheep Licensing. Stationery items will span backpacks, ring binders, stickers, pens, pencil cases and more, which will make their way to retail in spring 2018.